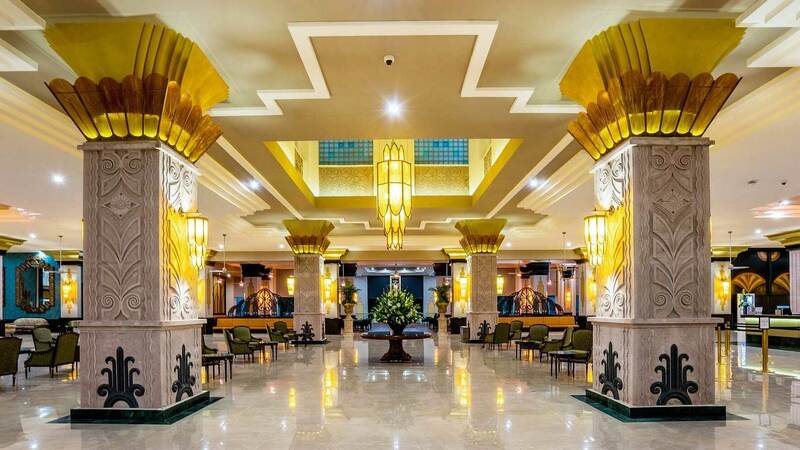 The rooms at the Hotel Riu Vallarta have been designed to provide you with the best amenities. 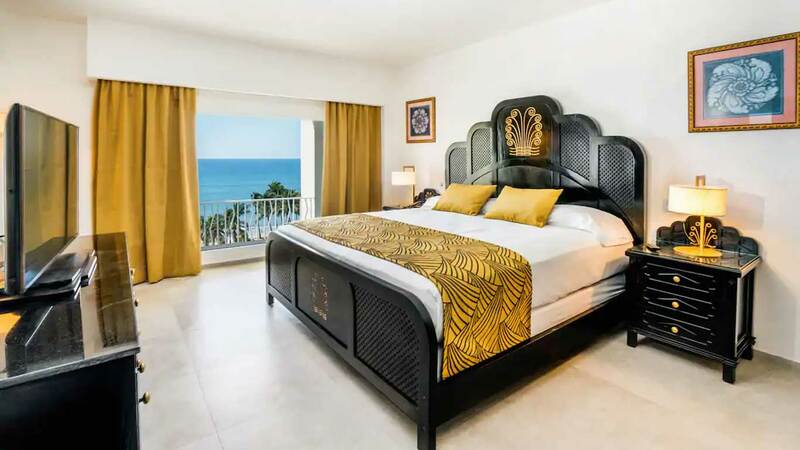 The more than 500 rooms at this all-inclusive hotel in Vallarta have satellite TV, air conditioning, a safe, a minibar with a drink dispenser, a coffee maker and a balcony or terrace. In addition, if you stay in one of our Jacuzzi Suites you can enjoy RIU's exclusive service with a hydromassage bath on the terrace. 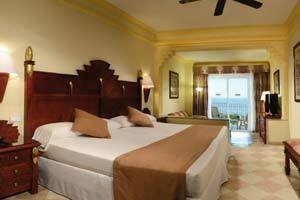 The Hotel Riu Vallarta offers Lateral Sea View Double rooms for you to enjoy an unforgettable holiday. 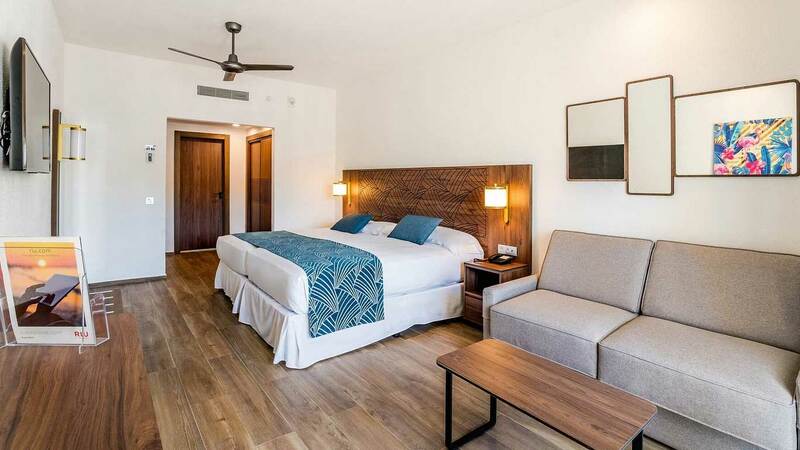 In these 28-m2 rooms, you'll find two small double beds (125x200 cm) or one king-size bed (200x200 cm), satellite TV, air conditioning, a minibar and beverage dispenser, a coffee maker, and a balcony or terrace with incredible views of the Pacific Ocean. 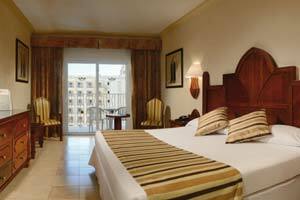 The Double Standard rooms at the Hotel Riu Vallarta are perfectly equipped to offer you the best amenities during your stay. 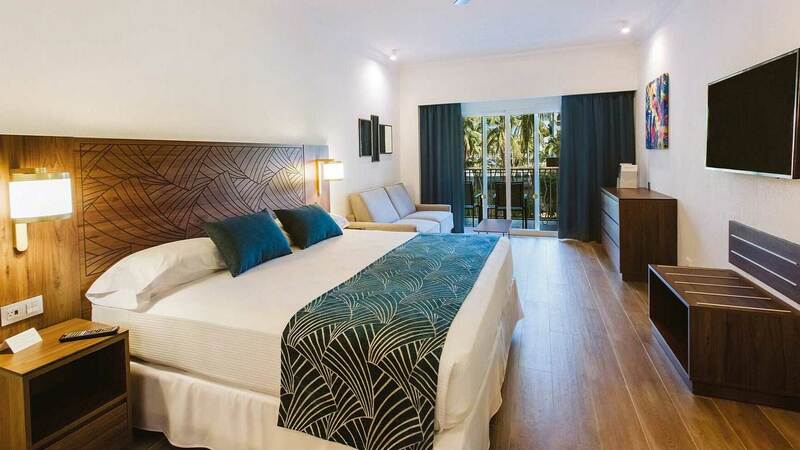 These 28-m2 rooms have two small double beds (125x200 cm) or one king-size bed (200x200 cm), satellite TV, air conditioning, a minibar and beverage dispenser, a coffee maker, and a balcony or terrace. The Sea View Suites at the Hotel Riu Vallarta offer you the best services and amenities for you to enjoy an unforgettable stay. These 69-m2 rooms have one king-size bed (200x200 cm) or two small double beds (125x200 cm), a sofa in the lounge area, a dressing room, a hydromassage bathtub, satellite TV, air conditioning, a minibar and beverage dispenser, a coffee maker, and a balcony or terrace with impressive views of the sea. 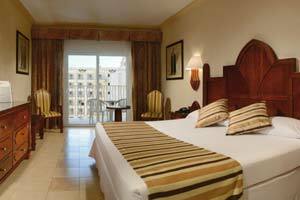 These 32-m2 rooms are specially designed to offer you the greatest comfort. 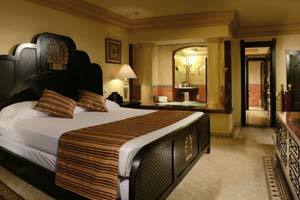 In the Junior Suites at the Hotel Riu Vallarta, you'll have one king-size bed (200x200 cm) or two small double beds (125x200 cm), a sofa in the lounge area, a hydromassage bathtub, satellite TV, air conditioning, a minibar and beverage dispenser, and a coffee maker. Plus, these rooms have a balcony or terrace for enjoying incredible views of the sea. If you want maximum relaxation during your holiday in Mexico, the Sea View Jacuzzi Junior Suites at the Hotel Riu Vallarta are the perfect option. In these 69-m2 rooms, you'll find one king-size bed (200x200 cm) or two small double beds (125x200 cm), a sofa in the lounge area, a dressing room, a hydromassage bathtub, satellite TV, air conditioning, a minibar and beverage dispenser, and a coffee maker. Plus, on the terrace, you'll find a jacuzzi for relaxing in the sea breeze. 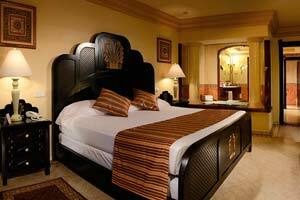 The Family Rooms at the Hotel Riu Vallarta are the perfect accommodations for enjoying an escape to Mexico as a family. These 33-m2 rooms have one small double bed (125x200 cm), one king-size bed (200x200 cm), satellite TV, air conditioning, a minibar and beverage dispenser, a coffee maker, and a balcony or terrace.